Performers include: Chelsea Handler, Erin Cahill, Janet Varney, Andrew Hunt, Adam B. Stein, Hilary Weisman, David Burtka, Garry Marshall, Sam Friedlander, Zach Lipovsky, Carrie Fisher, Adrianna Costa, Shira-Lee Shalit, Shalini Kantayya, Adalia Braydon, Randall Park, Jason Epperson, Will Bigham, Jess Brillhart, David May, Marty Martin, Mateen Osayande Kemet, Kenny Luby, Trever James, Phil Hawkins, Patrick Kerr, David Barrera, Tamel D’Amico, Karla Jean Davis, Claudia La Bianca, Lesli Margherita, Cara Santana, Todd Waring, Ian Bodell, Joy Osmanski, Ben Seton, Hannah Sink, Kai Soremekun, Marie Westbrook, Brett Ratner, D.J. Caruso, Jonathan Chase, Steve Sabo, Phil Allocco, Shawna Baca, Mark Bashian, Gregory Berger-Sobeck, Richard Carmen, Jarrett Lee Conaway, Opie Cooper, Michele Davis, Shane Elliott, Mark Feuerstein, Bayne Gibby, Juliette Jackson, Gil Kruger, Jaman Lloyd, Ana Therese Lopez, Justin Lutsky, Julie Mann, Laurie Mark, Karen Maxwell, Stuart McLean, Tamika Miller, Cameron Palatas, Stuart Pankin, Rich Pierrelouis, Staci Roberts, Debargo Sanyal, Hilari Scarl, Shira Scott, Michael Scovotti, Jeff Seibenick, Terry Shusta, Amy Silliman, Eric Stonestreet, John Symonds, Svetco Vladich-Gutierrez, Travis Wester, and Kirk Zipfel. A filmmaker contest in which young directors compete for a million-dollar development deal with film studio DreamWorks. 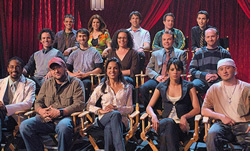 Contestants’ short films are screened each episode and home viewers vote for their favorite directors. The director with the lowest total votes is eliminated at the beginning of the next episode, until the final show when the winner is announced. The series is produced by Steven Spielberg and Mark Burnett. 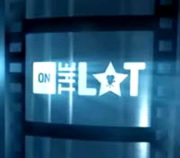 Why was it cancelled, I loved this show, I been trying to find out what this show was called when it just ended, I was wonder when they are they going to bring it back to life because hey need to, because this can give future film makers a chance to show what they can do.